Bengaluru-based Metarain Software Solutions Pvt. 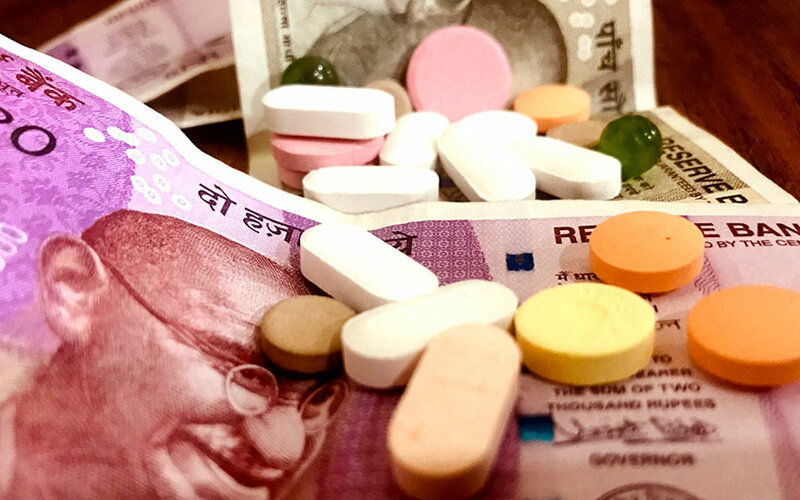 Ltd, which runs pharmacy app Myra, has raised Rs 8.75 crore ($1.2 million) in additional capital from existing investors, two people familiar with the development told Techcircle. Venture capital firm Matrix Partners and Times Internet Ltd jointly led the round, one of the two persons said, requesting anonymity. Tokyo-based Dream Incubator also invested. The second person, who also did not want to be identified, said Myra was valued around Rs 180-183 crore ($25 million) after accounting for the latest fundraising. Myra had last raised funding in February, when it mopped up about Rs 12 crore in a round that was led by Dream Incubator and that drew participation from Matrix Partners and Times Internet as well. That round was raised at a post-money valuation of Rs 175 crore. It could not be ascertained whether the fresh fundraise is part of a larger round. Myra co-founders Faizan Aziz and Anirudh Coontoor did not respond to email queries till the time of filing this report. Myra was founded in January 2013 by Aziz, a former chief technology officer at startup Dexetra, which had developed a Siri-like voice assistant; and Coontoor, who had a stint as a software engineer at Nokia. The Myra app offers online access to medicines and provides doorstep delivery. It caters to consumers in select areas of Bengaluru and Mumbai, as of now. The three-year-old venture is likely to have raised a little over $10 million—including the current round—from the likes of Matrix Partners, Times Internet and Dream Incubator, going by available reports on its previous funding announcements. Besides institutional investors, Myra is backed by the likes of Linkedin India CEO Akshay Kothari, PayU India co-founder and Ola Money CEO Nitin Gupta, Quikr CEO Pranay Chulet, LimeRoad co-founder and CTO Prashant Malik, Vy Capital associate director Vamsi Duvvuri and former Twitter executive Pankaj Gupta. The investors had infused capital into the e-pharmacy in their individual capacities. In 2016-17, Myra’s operational revenue grew more than four-fold to Rs 6.6 crore from Rs 1.51 crore the previous year, according to data available with VCCEdge, the data and research platform of VCCircle. However, gross expenses soared to Rs 18.7 crore from Rs 2.8 crore. Consequently, its net loss widened to Rs 7.43 crore from Rs 1.68 crore. Myra competes with a few significantly funded players in the e-pharmacy segment. These include NetMeds, PharmEasy and 1mg. Earlier this week, Mumbai-based PharmEasy mobilised $5.5 million (Rs 40 crore) from venture debt investor InnoVen Capital. PharmEasy had raised $30 million in a Series C round led by Bessemer Venture Partners and Orios Venture Partners in February. Earlier this month, NetMeds secured $35 million (Rs 247 crore) in a Series C funding round from Southeast Asian business conglomerate Daun Penh Cambodia Group. In July, 1mg had raised $15 million (Rs 96.7 crore) in a Series C round of funding from its existing investors such as Sequoia India, Omidyar Network and others.